Cryolor produces a wide range of natural draft cryogenic vaporizers designed specifically for customer stations, from 70 nm³ to 1260 nm³ with a MAWP of 40 bar compliant to PED. Application: Air Quality Monitoring / Monitoring Gases from the Ambient Air. Testing of Ambient Air quality for Industrial purposes, DG emission testing, Boiler emission testing, etc., Noise level survey, etc. We are looking for queries from Chennai and around Tamil Nadu. Our company is the leading company for providing Ambient Air Analyzers to our important clients. These are manufactured by our skilled workforce following all quality guidelines defined by industry in tandem with set international standards. 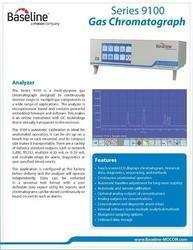 We offer Ambient Air Analyzers at most affordable price range to our clients. Fully integrated system for standard gaseous parameters including, SO2, NOx, CO, Ozone compliance to US EPA reference or equivalent method with high performance zero air generator and dynamic dilution calibration enables online calibration function. we are dealing in Ambient Air Analyzer. Portable Ambient monitoring of DUST, PM10, PM2.5, SOX, NOX, CO, CO2 etc. Suspended Particulate Matter (SPM), Repirable Suspended Particulate Matter (RSPM), SO2, NOx, CO, NH3, Lead.